The Danish toymaker is packing away 1,400 jobs after its decade-long sales boom faltered. Attaching itself to hit movies like “Star Wars” cemented strong growth, including from nerdy adults. As toy-market competition intensifies, Lego’s success requires an augmented-reality shift. 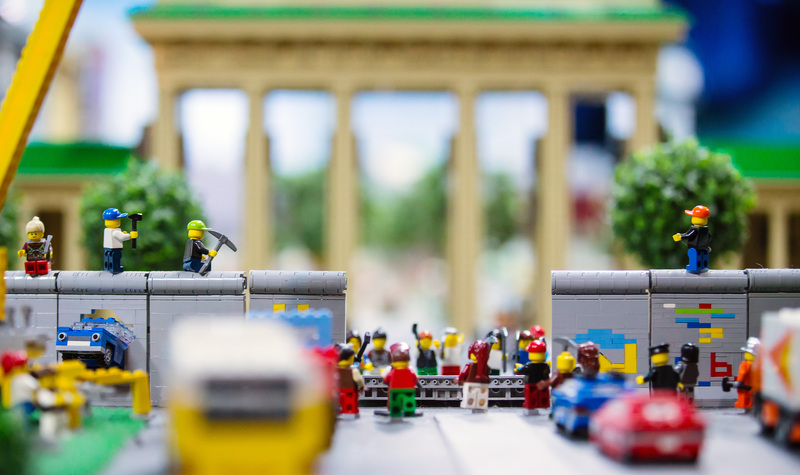 The history of the fall of the Berlin Wall is presented as part of the permanent exhibition in the Legoland Discovery Center in Berlin November 7, 2014. Lego Group said on Sept. 5 that it will fire 1,400 workers after reporting its first drop in sales in more than a decade. The toy company said first-half revenue was 14.9 billion Danish crowns ($2.38 billion), a fall of 5 percent from the same period a year ago. In August, the firm said its board had appointed Niels Christiansen as chief executive officer, effective Oct. 1. Lego’s outgoing CEO, Bali Padda, only took on the role on Jan. 1 this year.